MELBOURNE, Florida - Melbourne police shot a man armed with a gun Wednesday night. 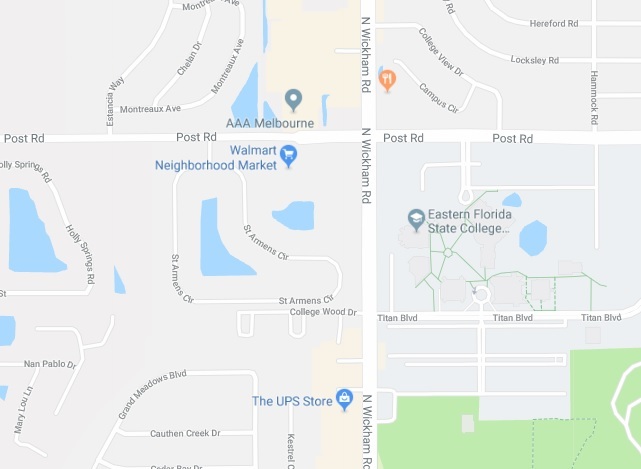 At approximately 10:30 p.m., Melbourne police responded to a call in the 3000 block of St. Armens Circle, which is located just west of the Eastern Florida State College campus in Melbourne, Florida. Police say that the man was holding a gun and acting erratically. Police then fired at the man, striking him. The man was then transported to Holmes Regional Medical Center in Melbourne. The Florida Department of Law Enforcement is investigating the incident, which is standard procedure in all officer-involved shootings.